The new bylaw banning whale and dolphin captivity in Stanley Park has put Vancouver Aquarium's venerable PR machine into overdrive. In some cases, their message clearly arises from desperation, if not from some other reality. Take the aquarium CEO John Nightingale's recent claim that they've "never done shows" with whales and dolphins. Their own advertising, as well as hundreds of YouTube videos, establish this as an obvious "alternative fact." So what about the rest of their claims surrounding the bylaw? Claim: Injured marine mammals will now be left to "die on the beach"
It is important to remember that this bylaw comes from Vancouver Board of Parks and Recreation, whose jurisdiction begins and ends at the borders of the city's public parks. 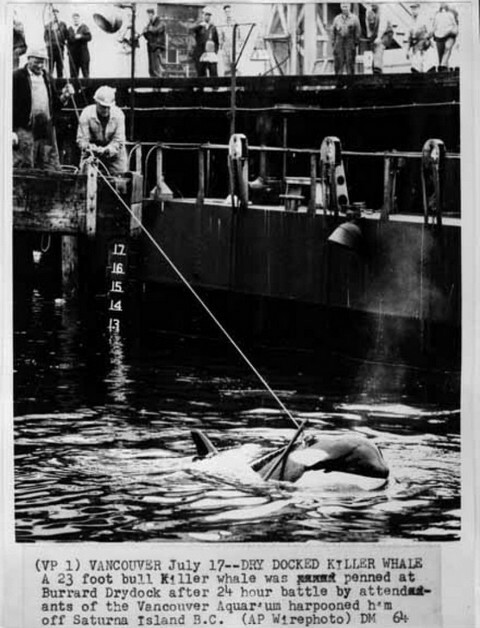 Even within that jurisdiction, in the unlikely event that a whale, dolphin or porpoise (cetacean) became stranded on Second Beach in Stanley Park, there is nothing in the bylaw preventing Vancouver Aquarium from coming to its aid. 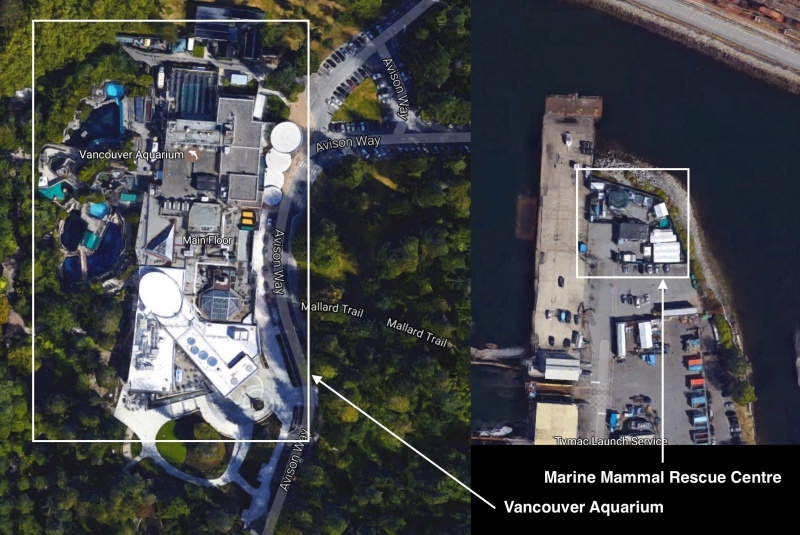 It also has no impact on the aquarium's ability to provide subsequent medical care because their rescue facility (see photo below) is not even located in a Vancouver park. But still, aquarium CEO Nightingale has also ramped up the rhetoric to a disturbing level, even claiming that the bylaw means they'll have to "put a bullet in" stranded marine mammals. The ultimate goal of any wildlife rescue operation is to return animals back to their natural environment whenever possible. The bylaw is entirely compatible with this mission, as it is very clear that it only outlaws the import and display of new cetaceans in Vancouver Parks. 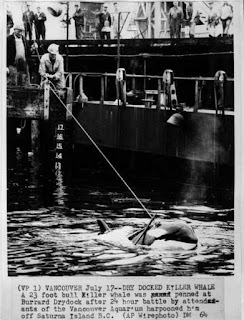 If the Vancouver Aquarium is willing to leave marine mammals to die on beaches only because they are no longer allowed to put them on display and taught tricks in Stanley Park, one has to wonder about the real motivations of their leadership. What would happen to a rescued porpoise, for example, whose injuries were so serious that it couldn't be released back into the wild? The Park Board bylaw says only that it may not be placed on display at the aquarium's Stanley Park facility. The aquarium cannot possibly believe their own claim that there are no other options for long-term care because, at this very moment, not one of the 6 belugas owned by Vancouver Aquarium lives in Stanley Park. 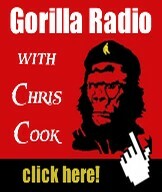 It is arrogant and misleading for the aquarium to imply that scientific consensus supports captivity. Four live at Seaworld, one at Georgia Aquarium and one at Shedd Aquarium; some have never resided in Vancouver. For years, the aquarium has FedEx-ed whales across the continent as part of their breeding program to "accredited partners" that offer "exceptional animal care." So how is sending an unreleasable animal to one of these trusted partners no longer an option? It certainly was for their current star attraction, Chester the rescued false killer whale. While he was still suffering on the beach, the aquarium stated they had already had multiple offers for his long-term care from facilities around the world. 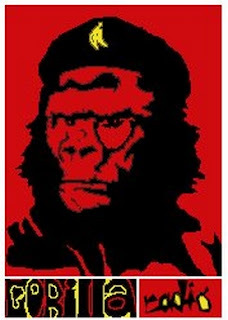 There's also the possibility of establishing a sanctuary for them. Not simply false, but objectively absurd. The aquarium has claimed with absolute certainty that whales and dolphins do not suffer in captivity -- while somehow remaining 100 per cent uncertain why the majority of their cetaceans have died. But when faced with question of relocating unreleasable animals to an ocean-based sanctuary environment, they say that sanctuaries cause suffering. Virtually every marine scientist outside of the captive industry disagrees with these assertions. In fact, there are currently no less than three ocean-based sanctuaries in development at this time, one for orcas (potentially to be located in B.C. ), one for belugas, and one for dolphins. The latter is a project of the National Aquarium in Baltimore, a facility much like Vancouver Aquarium, in which research and rescue are key elements of their mission. They voluntarily decided to move all their captive dolphins to an ocean-based sanctuary because "the needs and the interests of the dolphins will come first." Strange that Vancouver Aquarium, with its long history of meddling in municipal politics, has the audacity to make this claim. But even stranger, perhaps, is that the passage of the bylaw was supported by commissioners representing all three political parties currently on Park Board -- a rare example of cross-party consensus at any level of government and a sign that commissioners saw through the alternative facts the aquarium has been serving up. "I am dismayed that the focus has been on non-constructive, often inaccurate rhetoric to whip the public into a frenzy." As for science, like many Park Boards before them, current commissioners did their homework by listening to testimony from citizens and scientists alike. But it is arrogant and misleading for the aquarium to imply that scientific consensus supports captivity. Among the many scientists who has spoken against the captivity of whales and dolphins was Dr. Sidney Holt, considered the father of modern marine science. "In the case of highly migratory cetaceans such as belugas, who are used to traveling vast distances, to be held in... tanks is, I think, a special form of cruelty. No one has ever produced a compelling reason to justify such treatment -- certainly not a scientific or conservation-based reason." The Vancouver Aquarium should know better. By representing themselves as scientists while serving up regular helpings of alternative facts, they do a disservice to scientists everywhere.